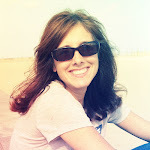 Bits and Pieces...: I'm On the Scrapbooks Etc. Blog! 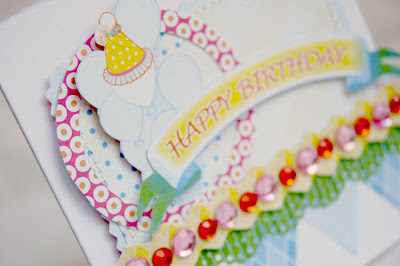 Oh, what a fabulous card! 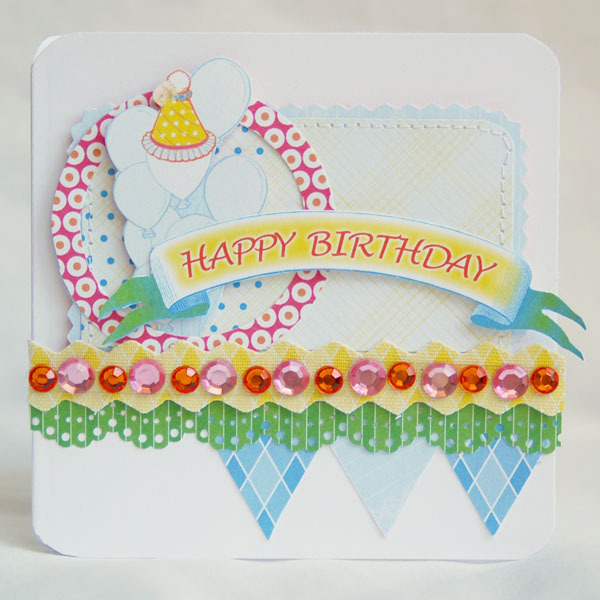 The bright colours beautifully pop off the white cardstock background. I also wanted to say thank you for the tip about Pixlr:) I immediately had to check out their filters and have spent almost my entire Sunday editting;) Their retro options are so cool and perfect for vintage layouts! What a beautiful beautiful card! What a happy card, Anabelle! Such a fun use of the Let's Celebrate line. Love the fabric trim loaded with those fabulous gems. The little banner is adorable, too, and I really like the crisp white background.